They keep coming, thousands of them, in what appears to be a south-north migration flight. 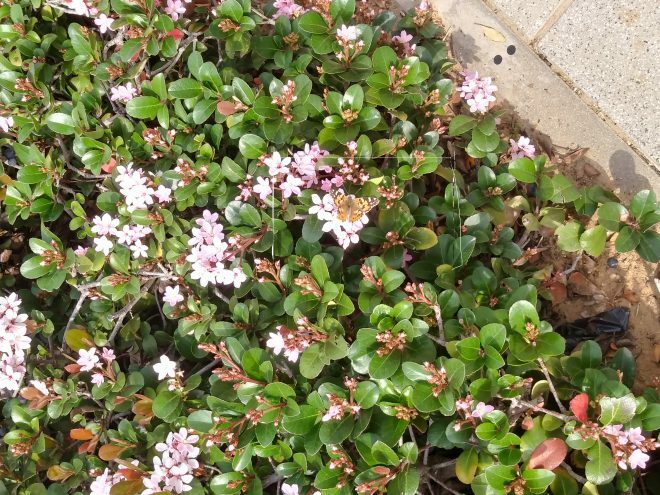 Coming coincidentally on the first day of Spring, this “invasion” of ‘Painted Ladies’ butterflies caught our eyes in southern Netanya, Israel as a totally unnatural phenomenon not usually seen in such large numbers. Known by their scientific name of danaus chrysippus these medium sized butterflies are usually seen this time of year, but never in such numbers. The sheer size of the butterfly swarm this year appears to be a very rare phenomenon that has been assisted greatly by an unusually wet winter. The migration movement of the butterflies, also known as the “plain tiger” or “African Queen”, appears to have begun this year on the Arabian Peninsula and will end up far to the north in Europe. The life-span of these butterflies is only around two weeks; meaning that at least three generations will be needed to reach their final destination. 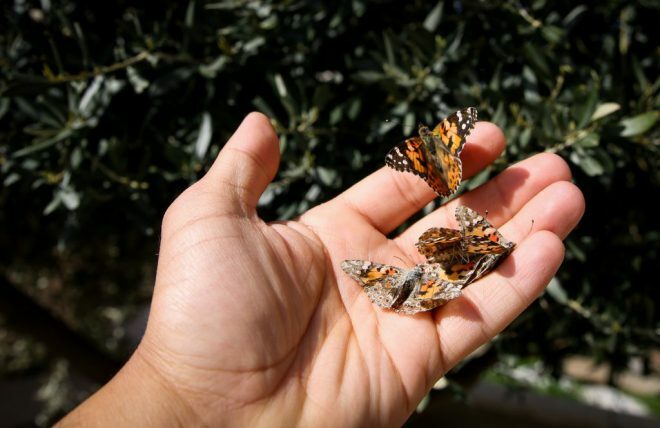 This butterfly migration is a bit different than the annual migration of the North American Monarch butterfly that migrates each year between southern Canada and Mexico. The present influx of Painted Lady butterflies passing through Israel is estimated to be “in the billions” and will continue until mid May. The wet winter conditions have also been favorable to locations south of Israel; causing a much higher than usual number of butterflies to hatch, according to news reports.This year, the butterfly flights are being reported all over Israel. People wishing to see these beautiful insects will be able to so do for the next six or so weeks. To see these beautiful butterflies, just go to where a lot of flowers are located, preferably in open spaces, between 9:00 and 12:00 am.